In September of 2015 Russia intervened on the side of the Syrian government in its war against rebel factions opposing Bashar al-Assad. Russia had always been Syria’s closest ally, maintaining a naval base at Tartus, but it’s robust response in 2015 presented neighboring states with a new player. This was particularly true for Israel. Syria had been a conduit for munitions reaching Hezbollah and Syria had been Israel’s most implacable official enemy in the region since the 1970s. Even as Jordan and Egypt signed peace treaties with Israel, Assad presented himself as the leader of the “axis of resistance.” Brief flirtations with a deal with Assad over the Golan in the 1990s and 2009 came to naught. 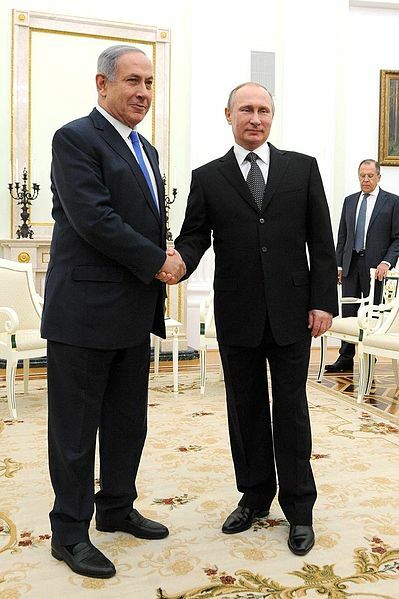 On September 21, 2015 Israeli Prime Minister Benjamin Netanyahu flew to Moscow to meet with Vladmir Putin. He wanted to discuss “deconfliction” with Russia in Syria. The primary concern was that Israel wanted to make sure that if it needed to carry out airstrikes in Syria, as it has allegedly done many times in the past, such as an airstrike on a nuclear facility on 2007 or the killing of Jihad Mughniyeh in January of 2015, it could do so. The dangers of not having coordination on airspace was brought home when Turkey downed a Russian jet in December of 2015. Several weeks later Lebanese Hezbollah member Samir Qantar was killed in an airstrike near the Golan. It appeared Israel and Russia’s discussions had worked well. Turkey, whose relations had soured with Israel in 2010 after the raid on the Gaza flotilla, agreed to welcome a new Israeli ambassador in 2016, around the same time that Putin and Reccept Tayip Erdogan met in October. 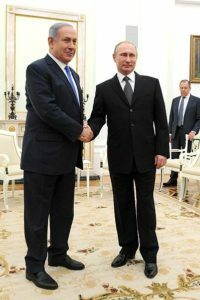 In this case, Israeli-Russian relations, and their ability to smooth relations with Turkey seemed key to preventing a regional conflict over Syria. Quietly Russia, Israel, and Turkey were carving out spheres of influence and red lines. Turkey didn’t want the Kurds in eastern Syria to expand, Russia wanted to ensure the fall of Aleppo and prop up Assad, and Israel wanted a free rein in the Golan area. Two airstrikes on Hezbollah targets near Damascus in November and December, 2016 illustrated that Russia did not view strikes on Hezbollah as a red line. The first strike hit the Sabboura area west of Damascus near the highway to Lebanon on November 30. A second on December 7th struck the Mezzeh airport in Damascus. In both cases Syrian media blamed Israel. None of these strikes were admitted by Israel, but the message was clear; Russia was not in Syria to aid Hezbollah or allow Iranian influence to grow, it’s relations were primarily with Assad. Israel Defense Minister Avigdor Liberman said on December 7 that Israel seeks to interdict weapons transfers to Hezbollah. These weapons are widely thought to come from Iran and some may come via the airport and then travel by highway to Lebanon. 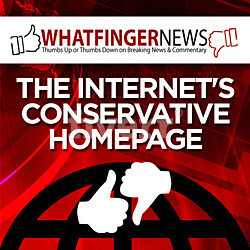 This presents Russia with a complex calculation. Russia has been the main factor in helping Assad re-take Aleppo after Syrian rebels captured part of the city in 2012. By the end of 2016 the rebels had surrendered in Aleppo. Shia militias, including Afghan mercenaries, and Hezbollah have played a key role in bolstering the Syrian regime in Aleppo. So in one battle Hezbollah helped Assad and is thus a key ally of Russia, but in another part of Syria it appears for now Russia is willing to give Israel a free hand, or at least understand Israel’s concerns. This is part of a pragmatic Russian policy. After the downing of the jet in 2015, Russia did not attack Turkey. The Russian ambassador to Turkey was assassinated in mid-December and Russia nevertheless seeks to continue to discuss Syria with Turkey. Turkey has been playing a minor role along the border in Syria after intervening in August 2016 in an operation named Euphrates Shield. On December 21 around a dozen Turkish soldiers died fighting ISIS in a town called al-Bab not far from Aleppo. It seems the Turkish operation coincided with the regime’s victory in Aleppo. This illustrates that Russia has come to some sort of agreement about Turkey’s role. Since Assad knows he cannot re-take the country without Putin’s aid, he can’t even defend Palmyra from ISIS, it means listening to his Russian advsiors closely about the role of Turkey and Israel. With the fall of Aleppo Netanyahu has indicated Israel may be willing to take in some Syrians for medical treatment. At the same time Israel is wary about what comes next in the area bordering the Golan. Since the rebellion began in 2011 Israel has been monitoring what goes on along the border. When the Syrian rebels began liberating southern Syria they came to control most of the border with Israel along the Golan, except a small Druze village named Khadr which the Syrian regime and Hezbollah kept its hands on. According to many reports Israel created a covert relationship with the rebels on the Golan and some came to Israeli hospitals for treatment. This was made more public in July 2015 when two Syrians were lynched while being transported by Ambulance to a hospital. Israeli Druze on the Golan, accusing the Syrian rebels of threatening Kahdr, had attacked the ambulance. Israel fears that Assad will turn his attention to southern Syria and eventually that will mean Hezbollah and Iranian-backed Shia militiaps participating in the battle too close to Israel. At the same time there is the presence of ISIS on the Golan. Having the Russian air force operating so close to Israel will present a problem that Hezbollah might try to exploit. With the US perceived as weakening in its influence in the Middle East, Russian power has grown. In some ways this has helped Israel forge closer, but unofficial, bonds with Saudi Arabia and the Gulf which fear Iran. At the same time Israel is close to Egypt, which has shown recent support for Assad. This is the complex world that underpins the new US administration of Donald Trump. However Trump has sought to warm relations with Moscow. That would work in Israel’s favor, especially since the new US administration has a similar outlook to Israel on the Iranian threat. The question is whether the deconfliction with Russia will work when Assad brings the war to southern Syria and Iran and Hezbollah try to exploit their role in Syria against Israel. 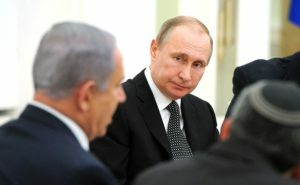 For now the Israeli-Russian relationship is based on a keen reading of the pragmatic choices in the region. I Want To Know Who Gave The Orders!